How Long is the Freedom Trail? Begin your journey at the Boston Common Visitor Information Center located at 139 Tremont Street and conclude at the USS Constitution in Charlestown. Stop by a Visitor Information Center to purchase a ticket. 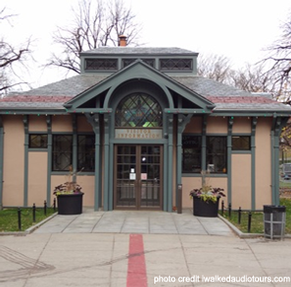 Tours leave regularly from the red brick line in front of the Boston Common Visitor Center. 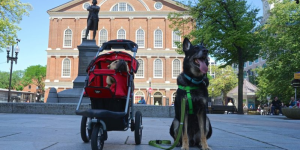 Fun for you and your pooch, Boston’s Freedom Trail is hailed as the leader of the pack when it comes to Massachusetts attractions. Throwing a bone out to one destination in each of the lower 48 U.S.